Stretching along Calvert Street between Madison and Monument Streets, stands a massive Italianate palace, built for the Society of Jesus, a Catholic religious order. Decorating the facade are arched windows with elaborate moldings, and a heavy Italianate cornice that tie together the St. Ignatius Church on the northern half (designed by Louis L. Long and completed in 1856) with Loyola College and Loyola High School on the southern half (designed by O’Connor and Delaney of New York and finished in 1899). During the 1850s, a wave of anti-Catholic sentiment swept American politics. The populist Know-Nothing Party emerged as a powerful political party characterized by xenophobia and skepticism of wealthy and intellectual elites—and only open to Protestant men. The Know-Nothing agenda called for barring public funding of Catholic schools and reinforcing Protestant values in public schools. In response, Archbishop of Baltimore Francis Kendrick asked the Jesuit Provincial to open a Catholic college. Loyola College opened in 1852 in two adjoining buildings near City Hall on Holliday Street. The college quickly outgrew the space and a new building was commissioned at Calvert and Madison streets. Classes began on February 22, 1855 and St. Ignatius Church opened its doors eighteen months later. Architect Louis Long modeled the design of the church after the late Renaissance/Baroque Gesu in Rome, mother church of the Jesuits. The interior features an elaborate cornice and pilasters and vivid stained glass windows installed during the 1870s. 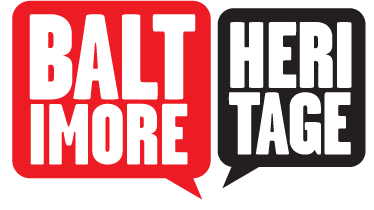 The early church congregation was a cross-section of the city's Catholic population: native Baltimoreans, Irish and German immigrants, poor and wealthy. Church leaders set aside the basement of the building for African American parishioners, many of whom went on to found St. Francis Xavier, the first all African American Catholic Church in the United States. Loyola College moved north to the Evergreen Campus in 1922. The southern section remained mostly vacant for decades until it was repurposed in the 1970s for Center Stage’s two theaters. The design was by James Grieves and the firm of Ziger, Hoopes, and Snead. The St. Ignatius congregation shrank dramatically after World War II as a result of many Catholics moving from the city to the suburbs. 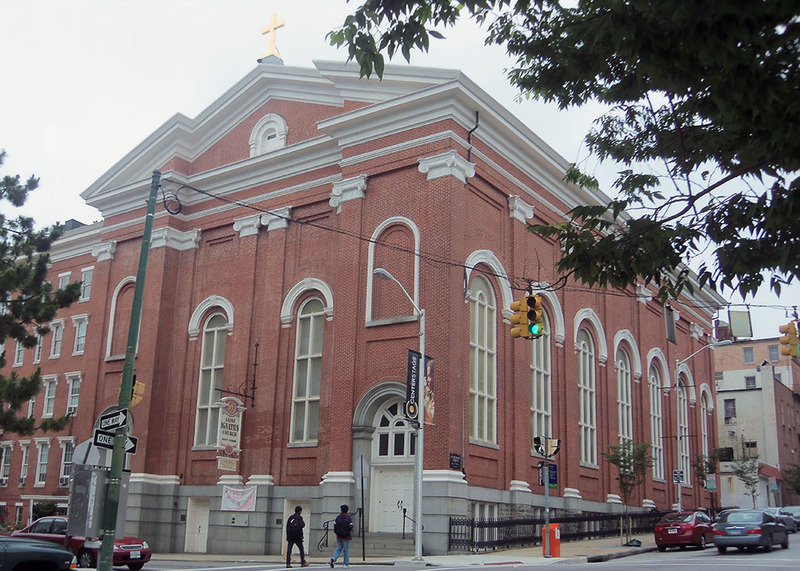 In spite of declining numbers, the church remained in the core of the city and expanded its involvement in local communities, offering the building as a shelter for homeless people and starting a middle school for Baltimore City youth. In the 1990s, the church worked to lure suburban Catholics back to the church and doubled its congregation. The decade ended with a massive restoration led by Murphy & Dittenhafer Architects. The work included the restoration of the plasterwork, rich gilding, historic interior colors, and even some of the church’s nineteenth century paintings. 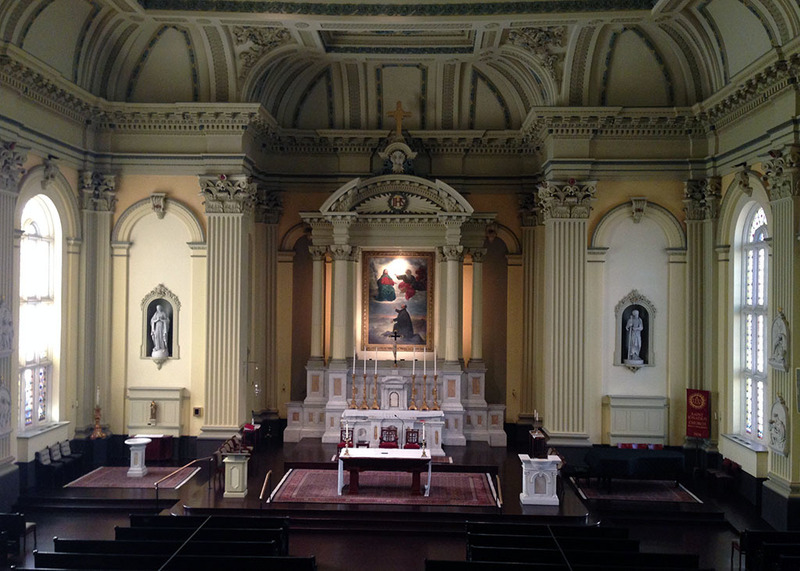 Nathan Dennies, “Saint Ignatius Church,” Explore Baltimore Heritage, accessed April 19, 2019, https://explore.baltimoreheritage.org/items/show/563.